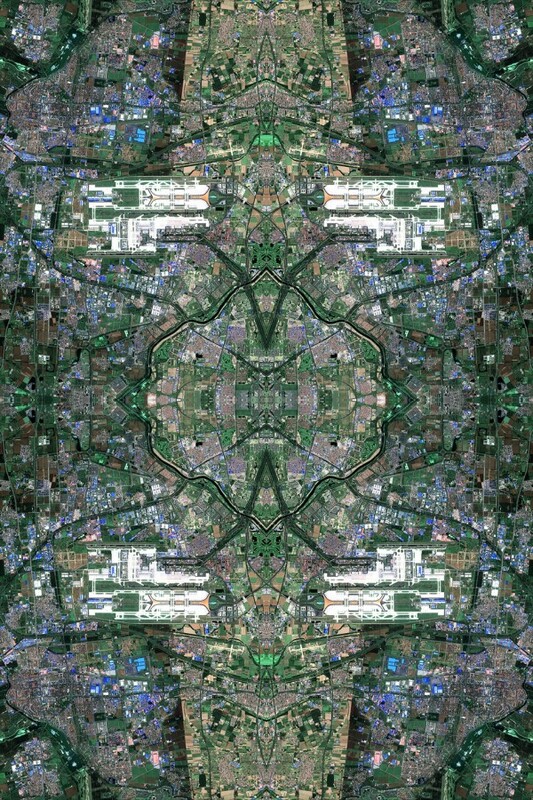 “We are entering an age that might someday be referred to as, say, the Anthropocene. 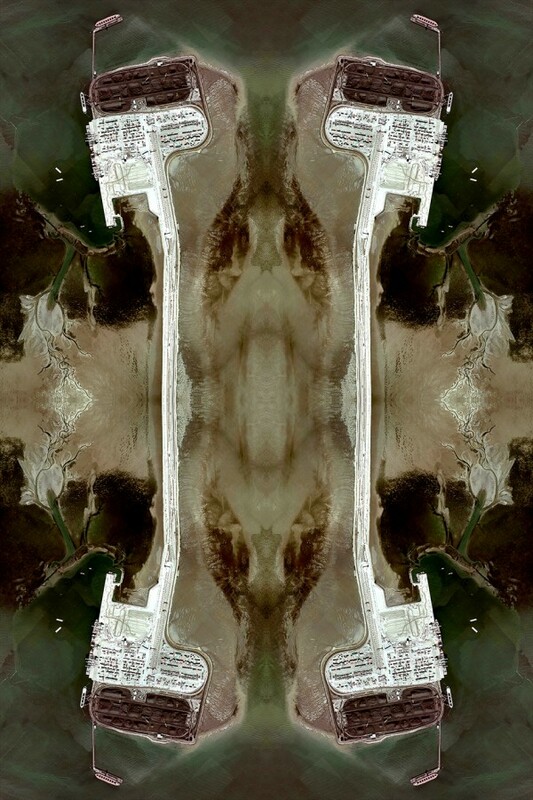 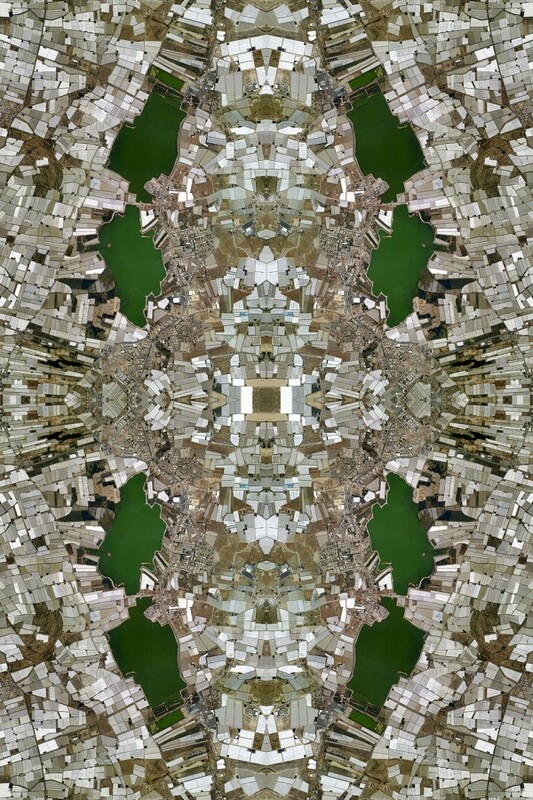 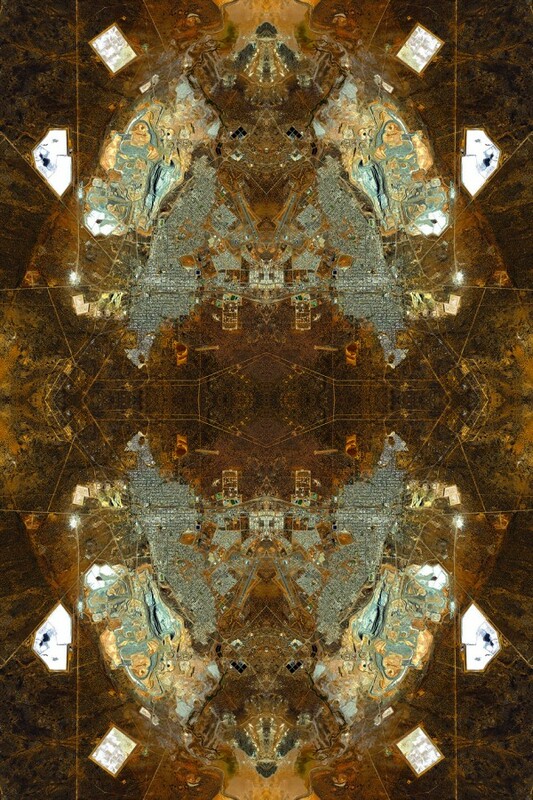 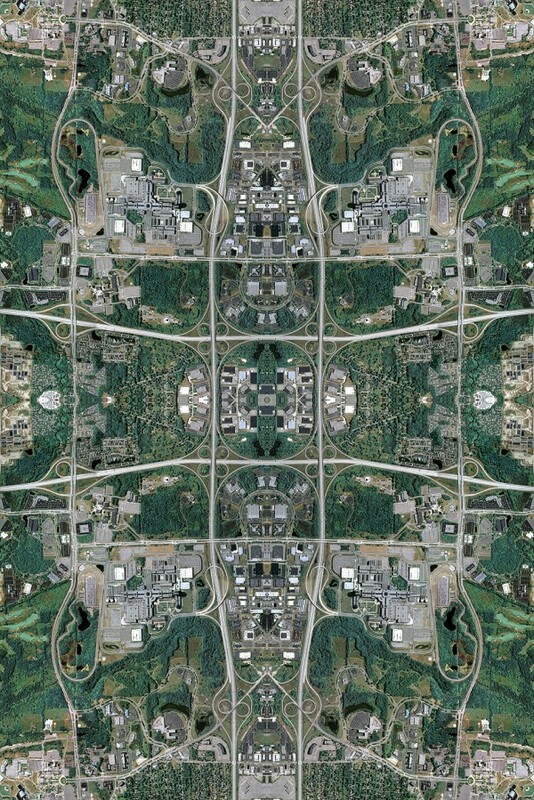 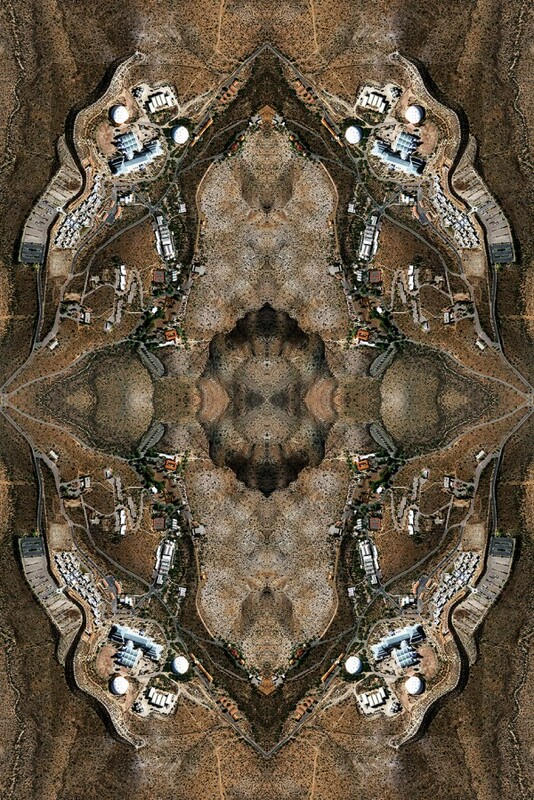 Composited from thousands of digital files drawn from aerial views taken from internet satellite images, this work reflects upon the complex structures that make up the centres of global capitalism, transforming the aerial landscapes of sites associated with industries such as oil, precious metals, consumer culture information and excess. 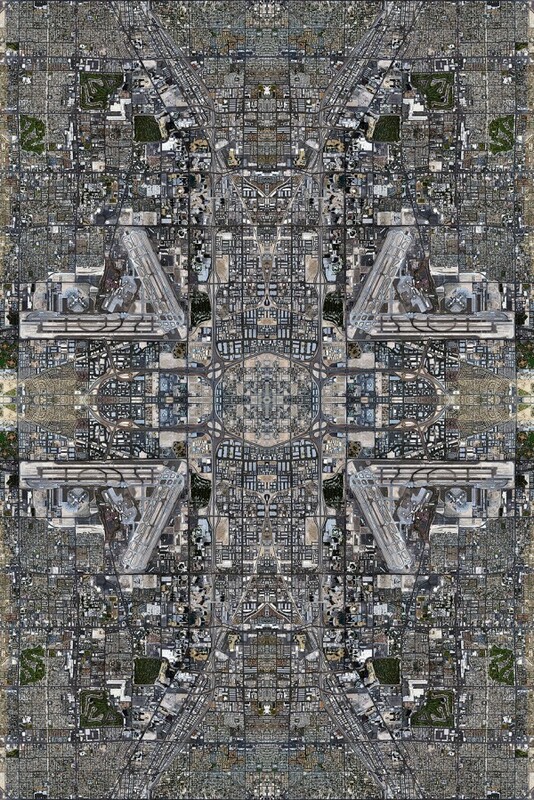 Thousands of seemingly insignificant coded pieces of information are sown together like knots in a rug to reveal a grander spectacle. 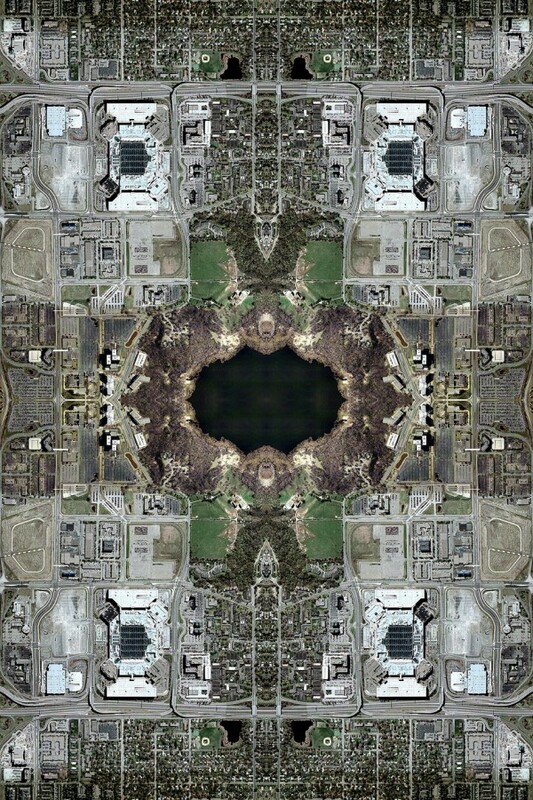 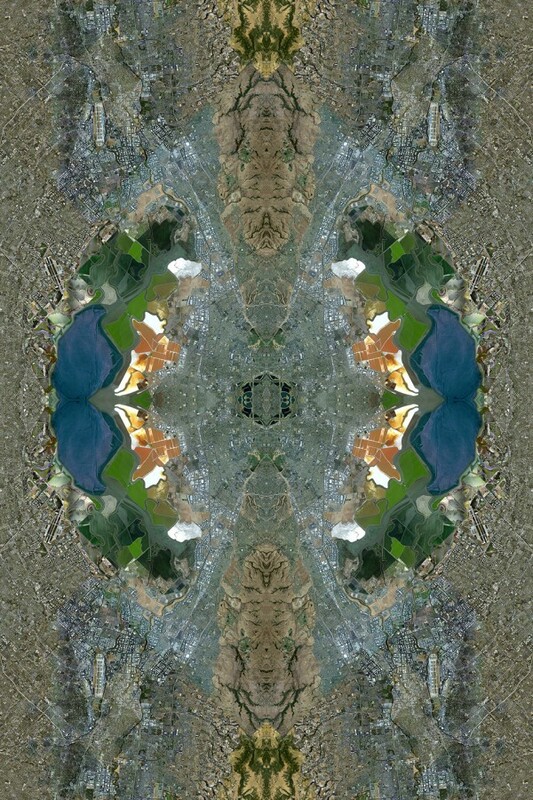 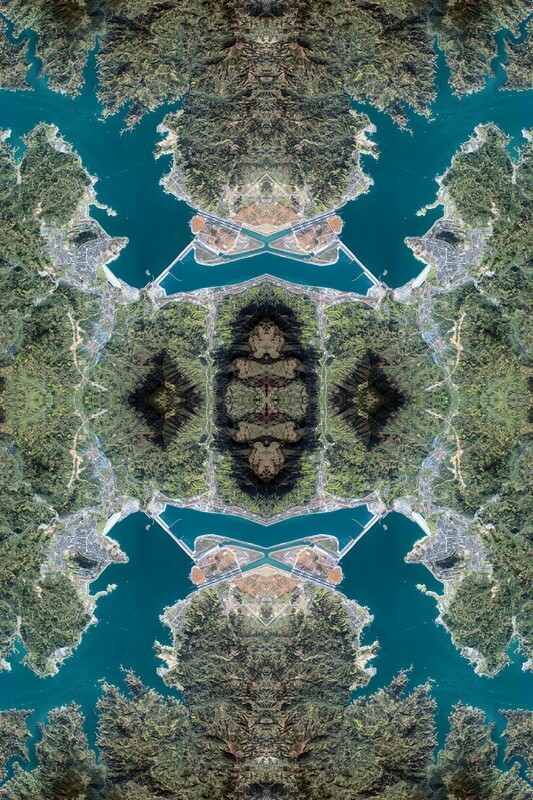 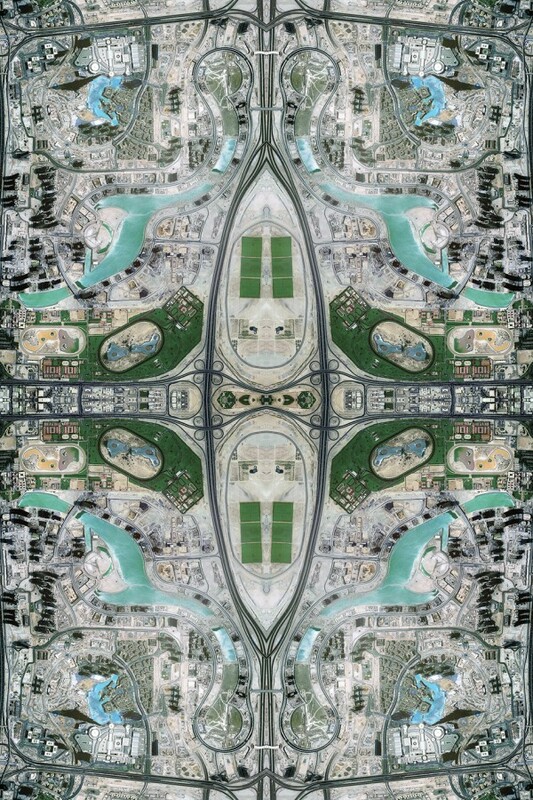 This aren’t aerial photos, they are used Persian rugs.